Listen, I’m not a Microsoft ‘Hater’ and honestly I don’t own a Mac and I really like my XP system which has crashed maybe twice in 6 years. However, I have had more issues with Outlook and Word over the past few years. So much so that I started looking around for alternatives, honestly thinking I would run into a brick wall and be forced to live with my frustrations. 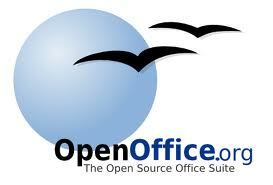 Well I was wrong and somehow stumbled upon OpenOffice.org, put out by Sun Microsystems (think Java) and it’s FREE. OpenOffice is a package of about 6 programs that will handle anything from text docs (Word), to Database Manipulation (Access), to Spreadsheets (Excel) and a couple more I have not even used. Did I mention it’s FREE? Not only does OpenOffice handle the ability to read and manipulate Word/Excel docs, but it allows you to save them as such. It also has a native ability to convert docs to PDF’s! I have told many people about this free software and the word so far is that I am a GOD! Now OpenOffice is not without flaws, it has not Outlook alternative and I’ve had a couple crashes….But did I mention it’s FREE?